The encyclopedia defines moral psychology as the scientific investigation of human behavior and functioning in moral settings and contexts. 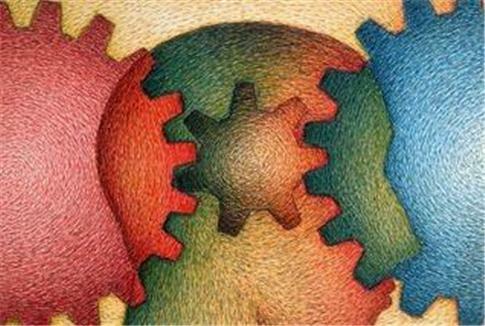 This field of psychology is highly interdisciplinary because it draws on empirical research from the human sciences and conceptual theories of philosophical ethics. The field of moral-based psychology actually produces fascinating studies and analysis of human behavior, reasoning and functioning. Moral psychologists may study the origins and applications of moral principles. For example, two similarly responsible adults consume alcohol, drive home during inclement weather and crash their vehicles. If the first one crashes into a snow bank without damaging property or harming anyone, they will most likely receive a minor fine with a driving restriction on their license. If the second driver accidentally hits and kills a pedestrian, they may be sentenced to up to 15 years in prison. The randomness of these individual’s punishments are referred to as moral luck, which most people assume to be based on emotional patterns. However, the moral basis for legal judgments involving severe punishments generally focus on teaching offenders morals to stimulate behavioral modification. Most moral knowledge appears in the form of natural intuition. That is, decisions regarding moral actions spontaneously arise without conscious awareness of the hidden cognitive processing. However, religion, education and the legal system have complex and explicit rules about moral conduct. Some say that the church, classroom and courtroom are the main social forums to debate, accept and challenge moral principles. Most people are unaware that standard moral principles are based on intuitive judgment patterns that are highly susceptible to errors and misconceptions. Moral psychologists use the science of social psychology to understand the hidden processes by which we develop internal attitudes and automatic behaviors. For example, collective moral induction can occur when large amounts of experts, leaders or other highly, similarly qualified individuals are brought together to make professional judgments. When publicly compared with each other, many of these individuals will generalize moral principles based on recognized and approved patterns of intuition. Thus, a type of group think may occur, but many individuals will be unaware of their own psychological justifications of their intuitions. The cognitive architecture of decision-making is believed to be motivated by the prevention of harm to the self, others and the environment. The emotional responses that most people experience during moral dilemmas are actually poorly understood. Moral psychologists have traditionally assumed that the aversion to harm comes from empathy to the suffering victim. Research shows that genetics, biology and social conditioning contribute to moral decision making regarding harmful actions. For example, Yale psychologist Stanley Milgram performed his infamous experiment that required innocent experiment participants to electro-shock a victim who faked pain. A disturbingly large percentage of participants obeyed the instructions as long as a symbol of figure urged them to do it. On the other hand, Stanford Professor Philip Zimbardo’s infamous prison experiment required average college students to assume the roles of prisoners and guards within a fake prison. After only a few days, most participant’s moral principles were replaced by disturbingly inhuman actions. Moral attitudes are heavily influenced by social controls and environmental factors. Anyone who wants to become a moral psychologist will most likely need to earn a bachelor’s of science in psychology and then a master’s degree specializing in moral psychology.